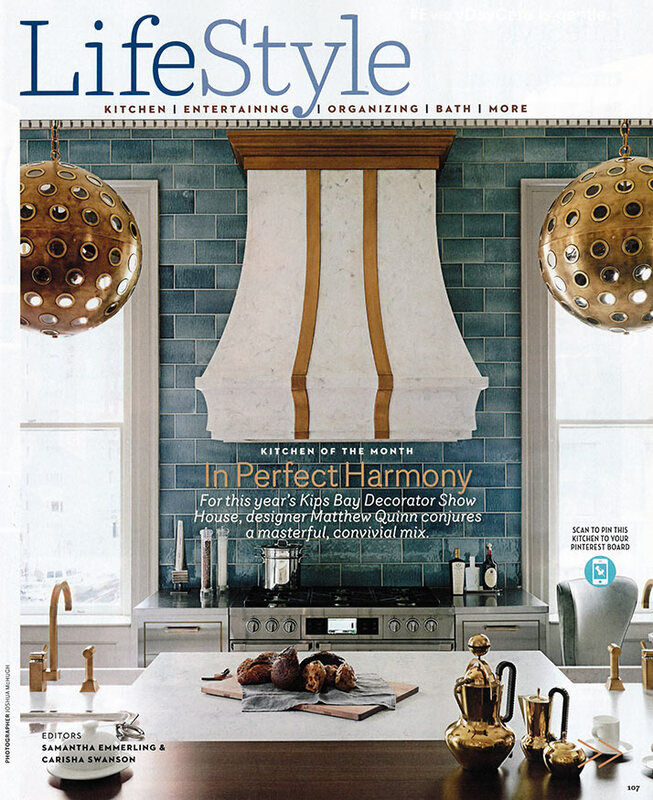 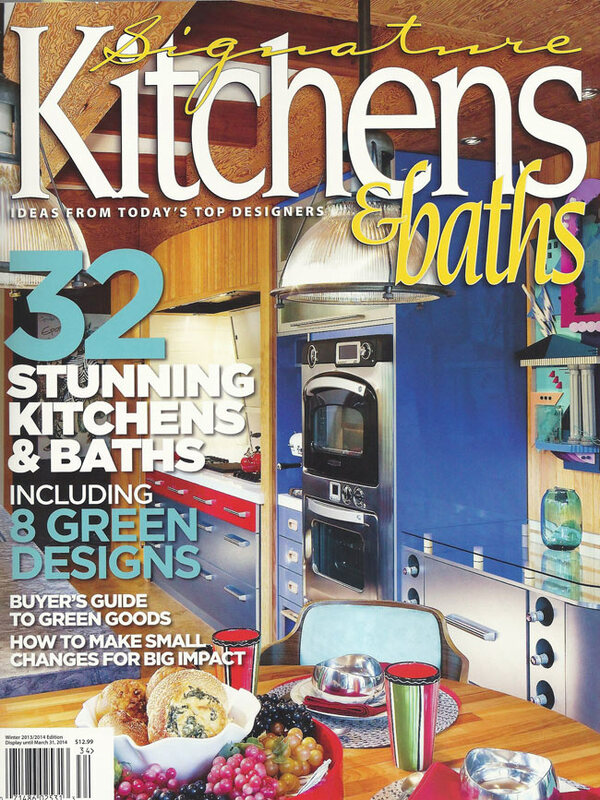 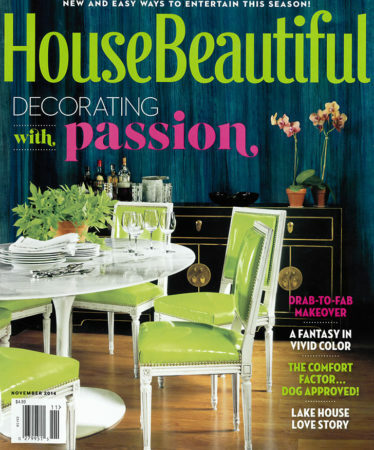 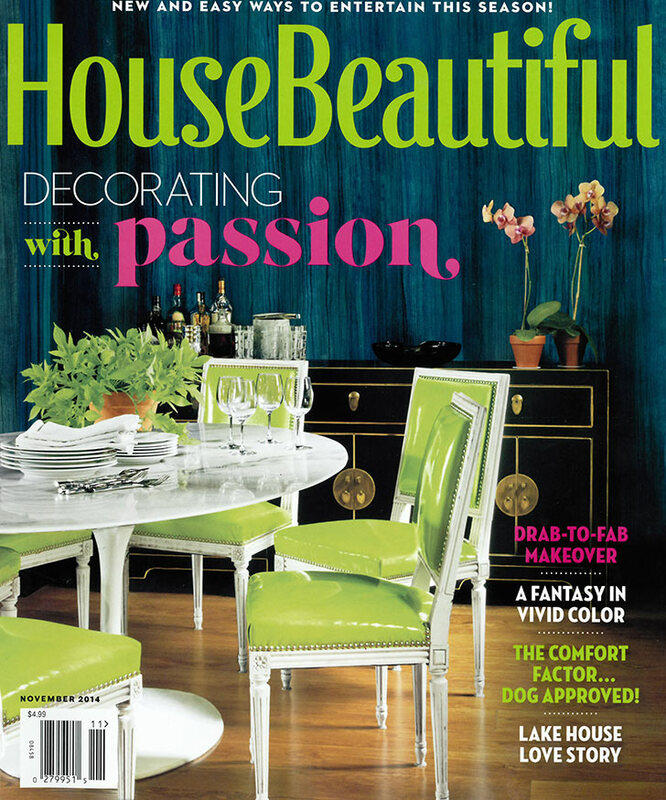 The November 2014 issue of House Beautiful Magazine covers the Kitchen of the Month designed by Matthew Quinn. 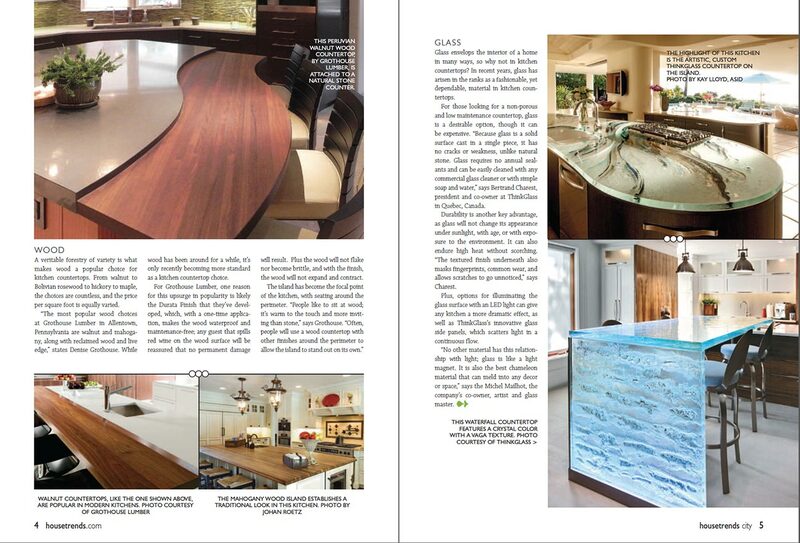 Grothouse crafted a custom Walnut Wood Pastore™ Table for the kitchen. 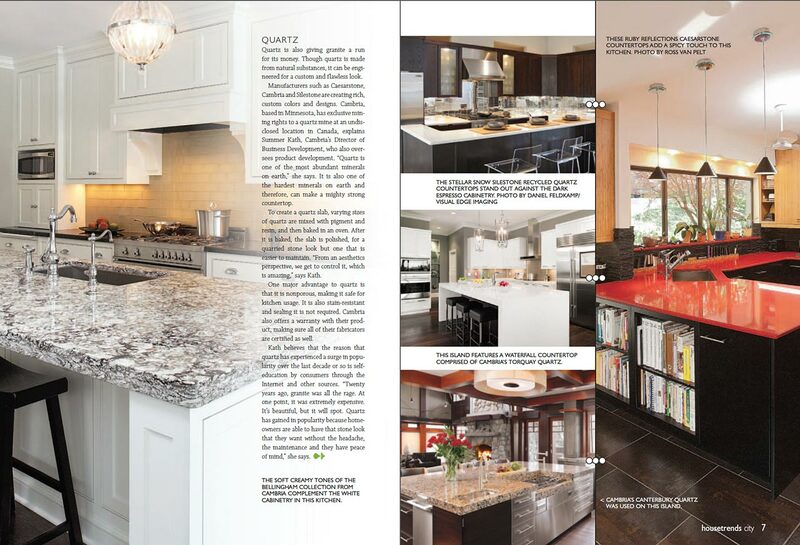 It is an honor to have been part of this magnificent kitchen design. 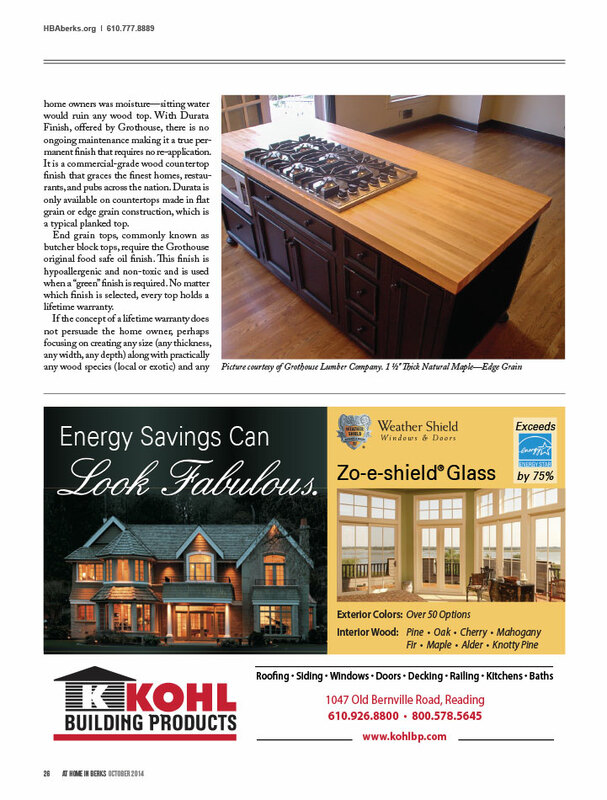 Jessica McAllister of Kohl Building Products wrote an article about “Kitchens with a Focus on Countertops” in the October 2014 edition of At Home in Berks. 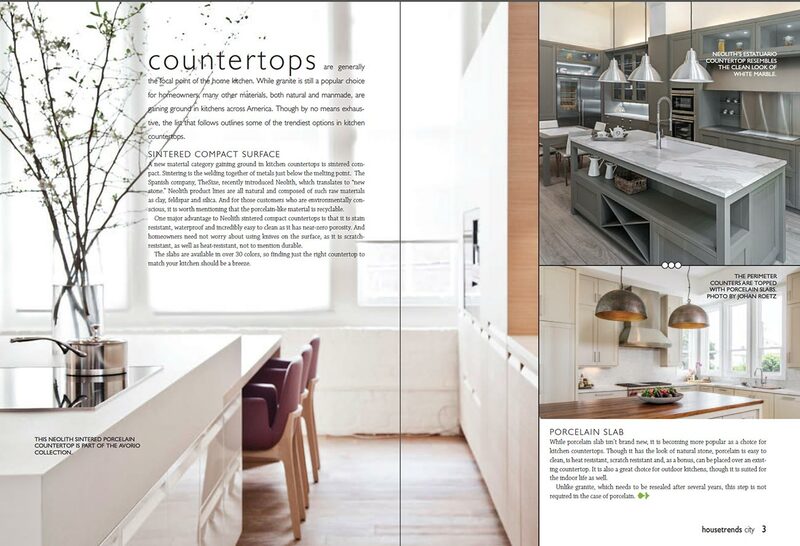 Jessica states that when clients are looking for a warm countertop surface as an alternative to stone, she uses Grothouse Wood Surfaces. 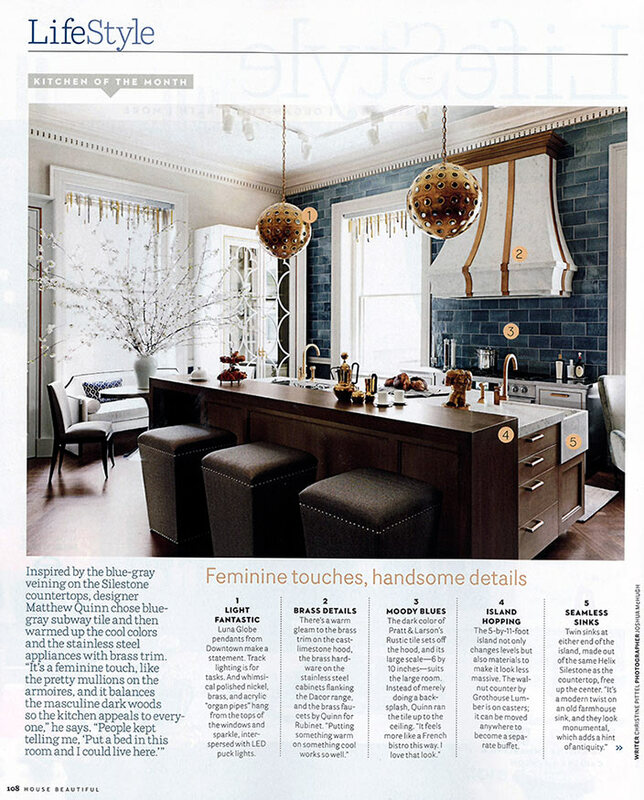 She also states that Wood tops offer a timeless appeal to any space. The article includes photography of several Grothouse Wood Surfaces. 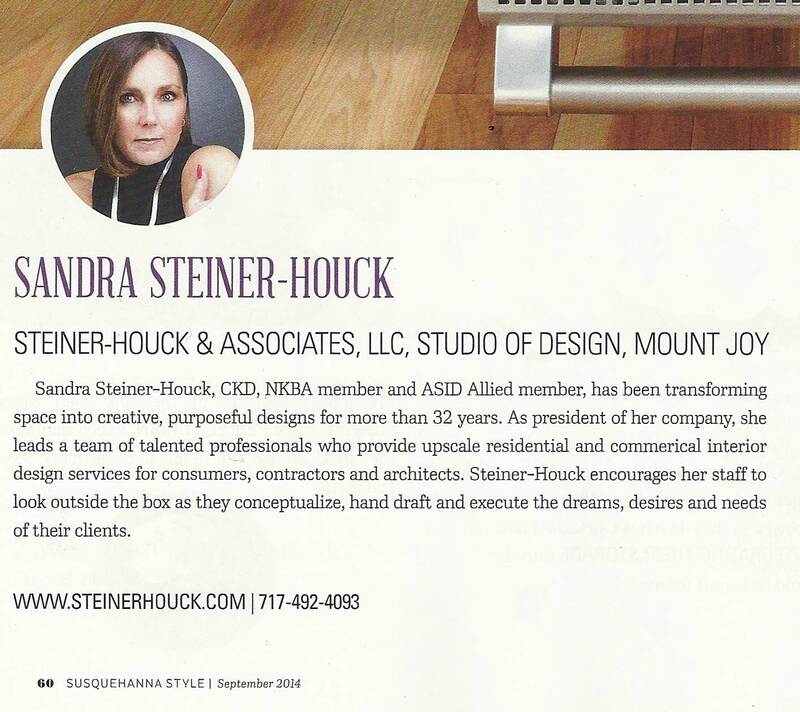 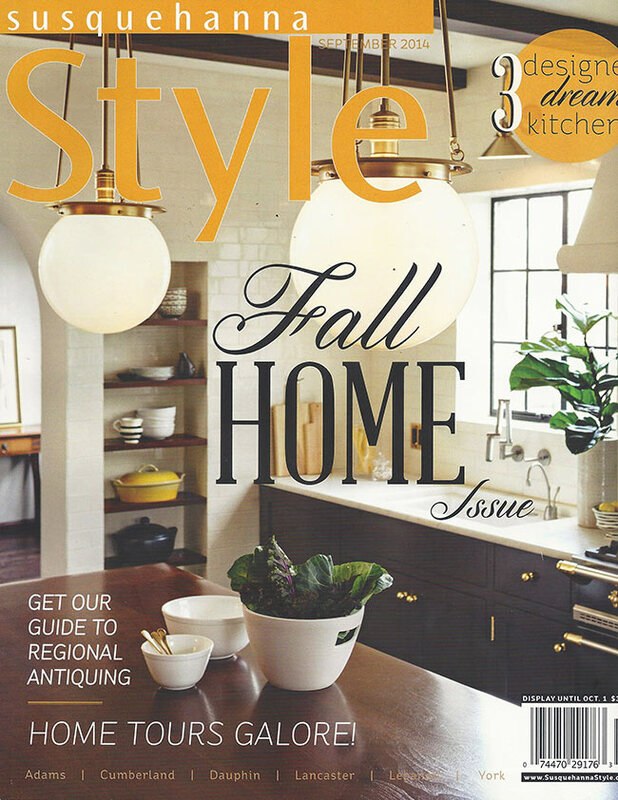 A Grothouse American Black Walnut Wood Countertop is fourth on Sandra Steiner-Houck’s Dream Kitchen list in the Susquehanna Style Magazine’s September 2014 issue. 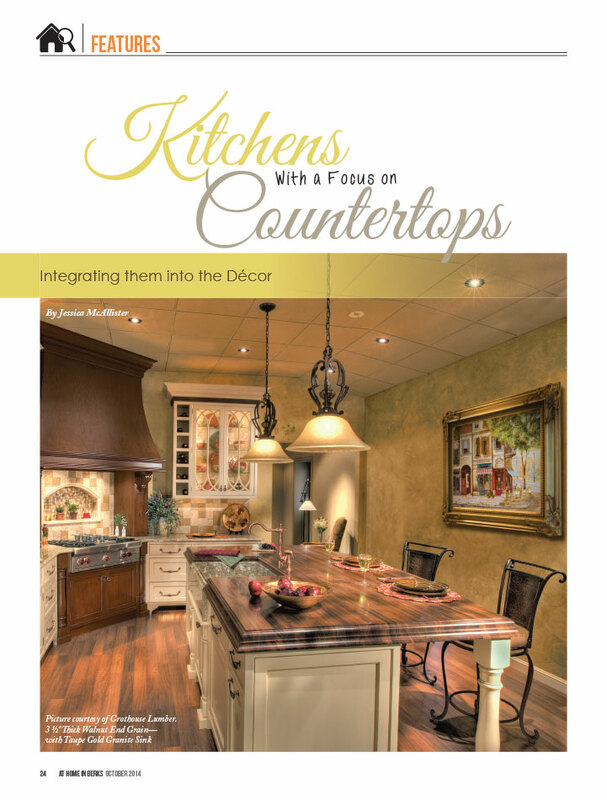 “To warm up the kitchen, I would incorporate a luxurious wood island top from Grothouse Lumber in a beautiful custom shape. 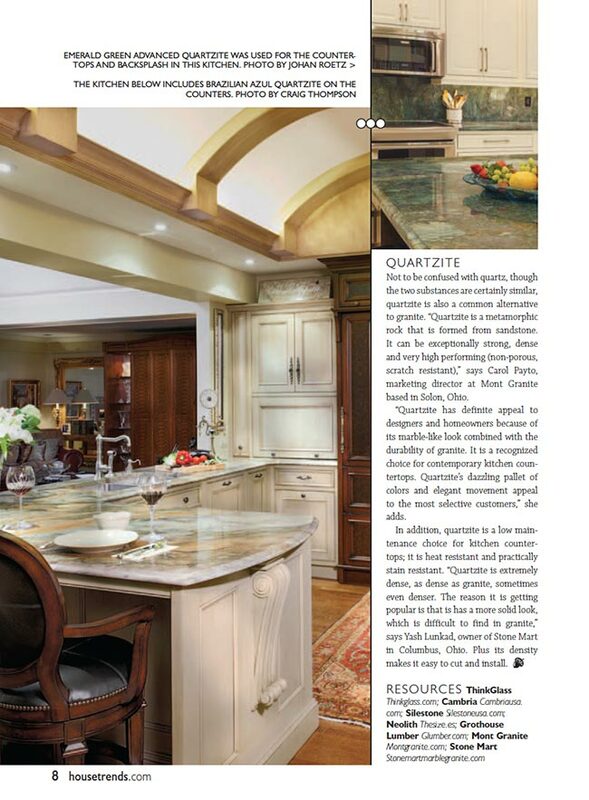 I would use 3-inch thick Edge Grain American Black Walnut wood with a Double Roman Ogee edge detail. Adding this rich warm wood top to the island would help to balance the cool finishes in the overall kitchen,” says Sandra. 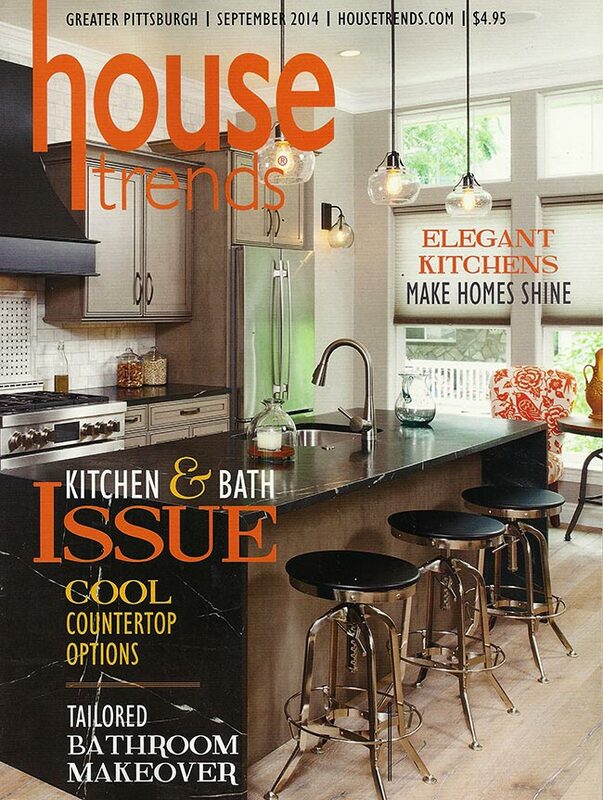 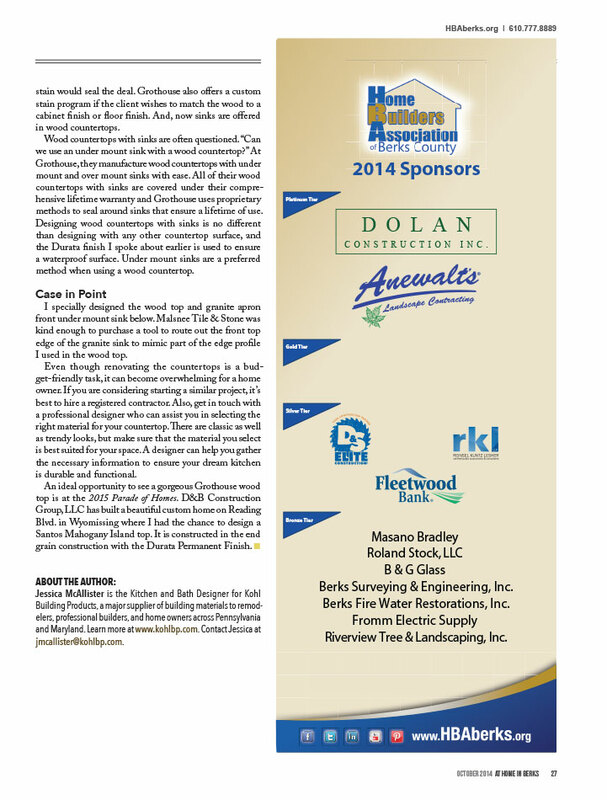 Grothouse Wood Surfaces were featured in the September 2014 Issue of House Trends Magazine. 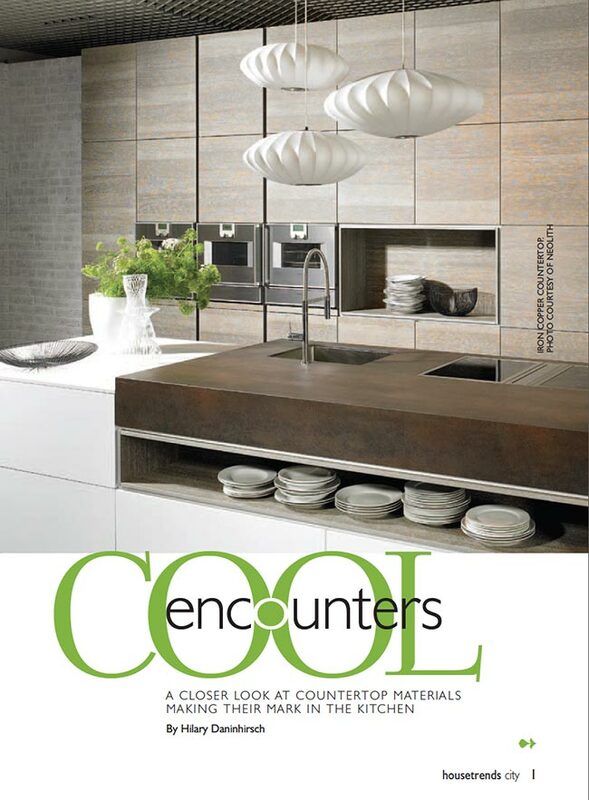 Hilary Zakowitz wrote the article "Cool Encounters" about countertop materials making their mark in the kitchen. 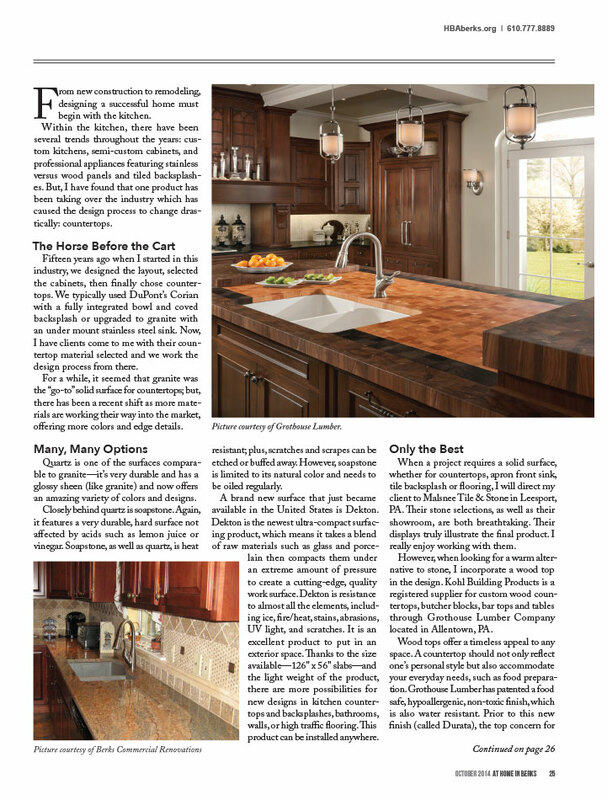 The section covering Wood talks about the most popular wood choices, our exclusive Durata® Permanent Finish, and why wood countertops are often the focal point of the kitchen. 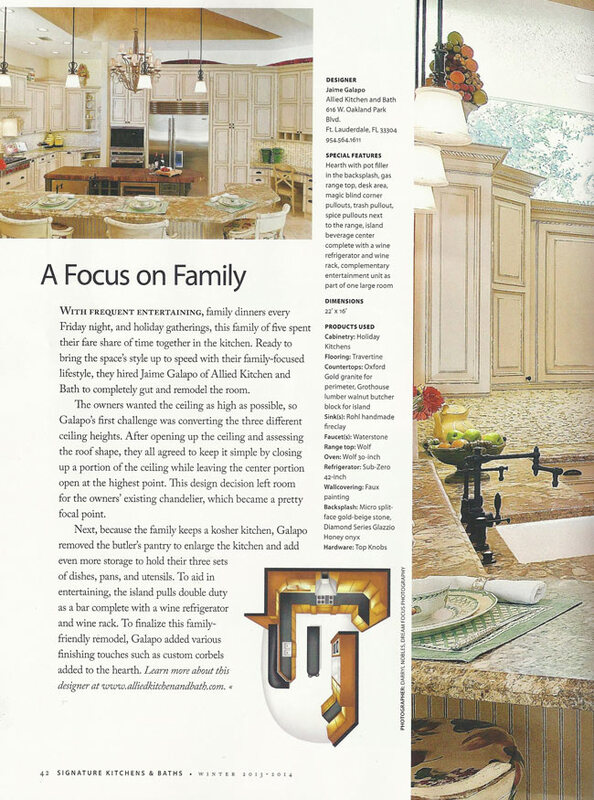 Jaime Galapo of Allied Kitchen and Bath in Ft. Lauderdale, Florida designed a beautiful kitchen focused on family. 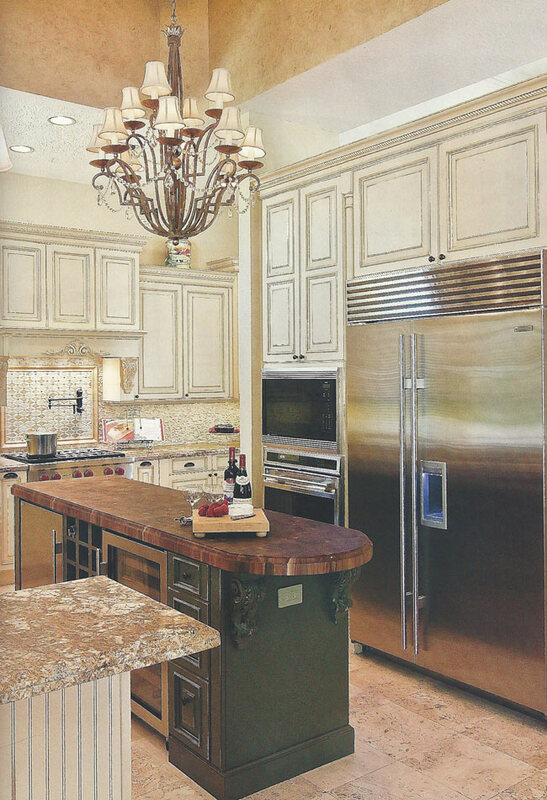 The Kitchen includes a Grothouse Walnut Butcher Block Countertop used for the large kitchen island.